Today at AWS re:Invent 2017, Amazon Web Services (AWS) announced Alexa for Business. Alexa for Business lets you use Amazon Alexa to voice-enable your workplace by providing the tools you need to manage Amazon Alexa devices, skills, and users at scale, and an API to build custom, context-aware voice skills for your organization. 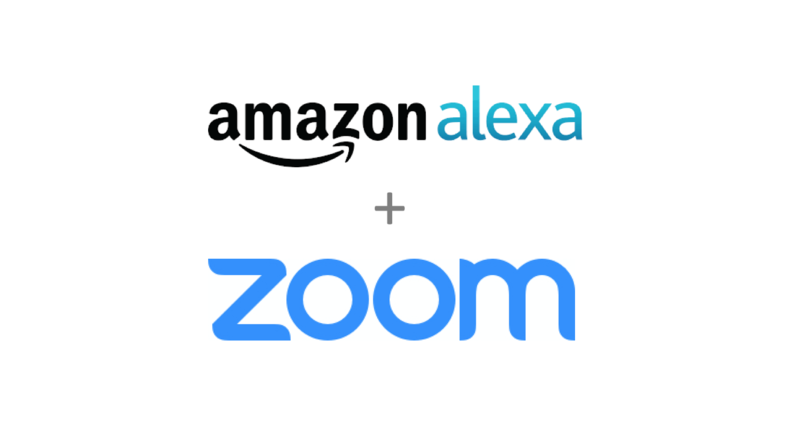 Zoom has collaborated with AWS to enable a conferencing use case. Let’s take a look at what Zoom with Alexa for Business can do for your conference rooms. Zoom Rooms is Zoom’s software-based conference room system. It features video and audio conferencing, wireless content sharing, and integrated calendaring running on off-the-shelf hardware. It is the perfect solution for conference, huddle, and training rooms as well as executive offices, clinics, and classrooms. Typically, you would start your Zoom Rooms meeting with a quick tap on your tablet controller. Now, Zoom with Alexa for Business means you don’t even have to lift a finger – Amazon Alexa will start your meetings at your command! Simply walk into the Zoom Room and say, “Alexa, start the meeting.” Amazon Alexa will confirm which meeting with a question like, “Do you want to join the meeting organized by Mike?” Once you say “Yes,” she will start the meeting. If you’d like to join another meeting and you know the meeting ID, instead of saying “Yes,” you say “No.” This will prompt Alexa to ask you the meeting ID, which you can say aloud to her. Again, you’ll say “Alexa, start the meeting.” When she asks for the meeting ID, you just say “One, two, three” aloud to her and a new meeting will start instantly. Likewise, users of Polycom or Cisco traditional room systems can also easily host or join a Zoom meeting by using Cisco or Polycom skills via Zoom Conference Room Connector. This all sounds amazing, we know. We’re sure you’re excited to get going with Zoom with Alexa for Business. You will need to purchase an Amazon Alexa device and install it in your video conferencing room using Alexa for Business. You will then install the Zoom skill in your device managed by Alexa for Business and select Zoom as your conferencing provider. There is no configuration needed in your Zoom account settings or Zoom Room settings. If you’re interested in seeing all the ways that Zoom can create frictionless communications for your enterprise, sign up for a customized 1-1 demo with a Zoom product specialist today!